The new real time reporting regime will be operational for all employee payments being made from 1 January 2019 and it is important that employers, agents and payroll providers review their business processes and practices so they meet the new requirements in advance of then. Business need to bear in mind that a single breach can incurr a fine of €4000, so having one or multiple errors can be very costly. 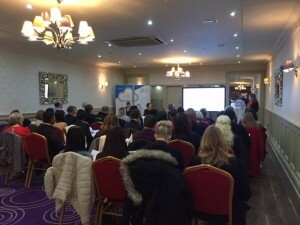 On yesterday 21st November, County Carlow Chamber in partnership with Lalor O’Shea McQuillan and Carlow Kilkenny Skillnet hosted a workshop to help businesses prepare for the changes. With expert analysis from Nuala Kenny, Partner at Lalor O’Shea McQuillan and Sinead Clerkin, Payroll Manager, the changes were discussed in detail and tips and advice provided to assist in preparations. If you missed out on the workshop, do not hesitate to get in touch with the team at Lalor O’Shea McQuillan, in addition a number of resources are available below.